This darling peachy tulle bow is for your baby girl that’s just flowing with SASS. Available on a hair clip or headband it’s about 4 in wide. If you'd like a smaller bow feel free to specify in your order notes. 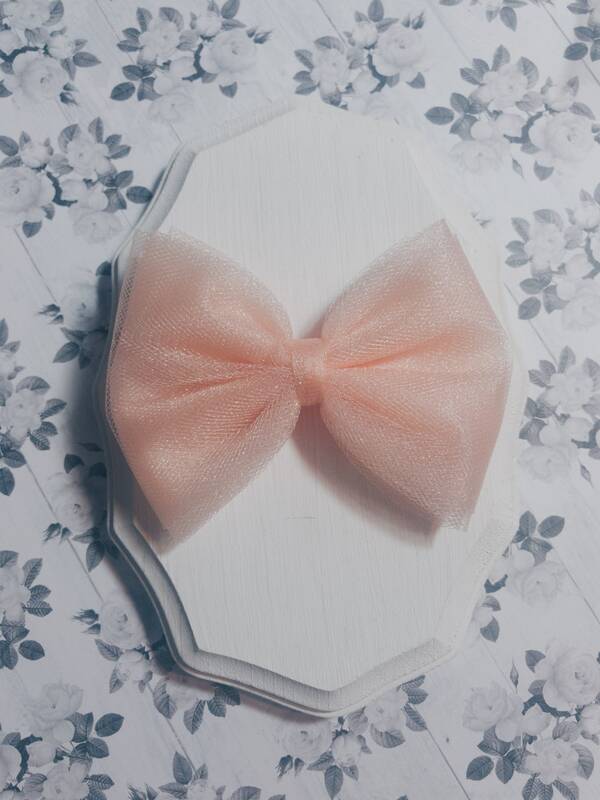 Peachy Charly bow is available on a nylon headband or a alligator clip.